Get the 3 essential styles on board! Easy steps are shown to you as a group, one-on-one and with live demos all day long. The explanations of even complex ideas are made clear with hand rendered infographics. We start you off with all the foundational knowledge and skills essential to signwriting and build your application from there. NGS training schedule has been made super comfortable, organic (a dash vegan) and completely tailored to the individual. I’m setting up on the Friday evening and for those who can make it, it’s a nice chance to relax and chill-out ice-break. Introduction & vino: sharing the start. 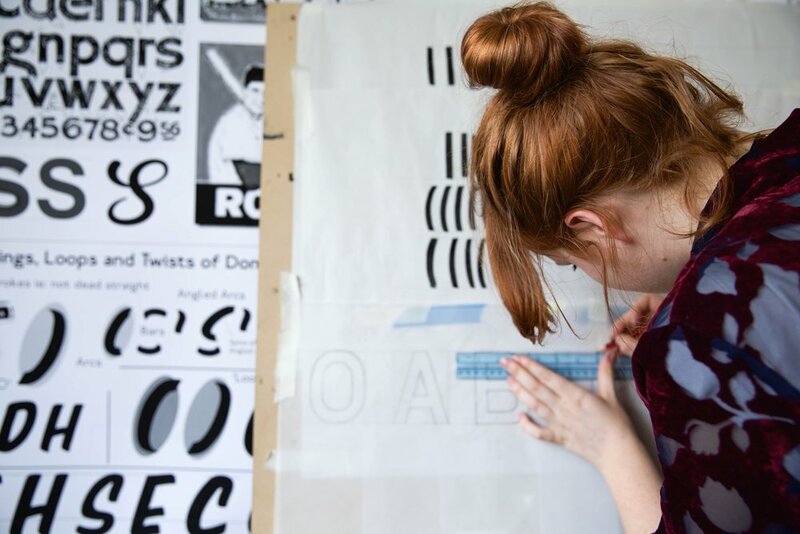 Get stuck in with the basics of lettering; sketching, tracing techniques and preparing materials. Next we pick up the brush and get painting! Day 2 and you can gather ideas and start really powering ahead with your lettering. It's amazing how we learn on a nights sleep! This is an exhilarating learning environment. Learning sign writing with Nick @ NGS Signsmiths is a great move - you will definitely be going to the next level. Clear, easy-to-learn sign writing workshops, short courses and personalised training. learn from Nick Garrett - dedicated to being London’s best.